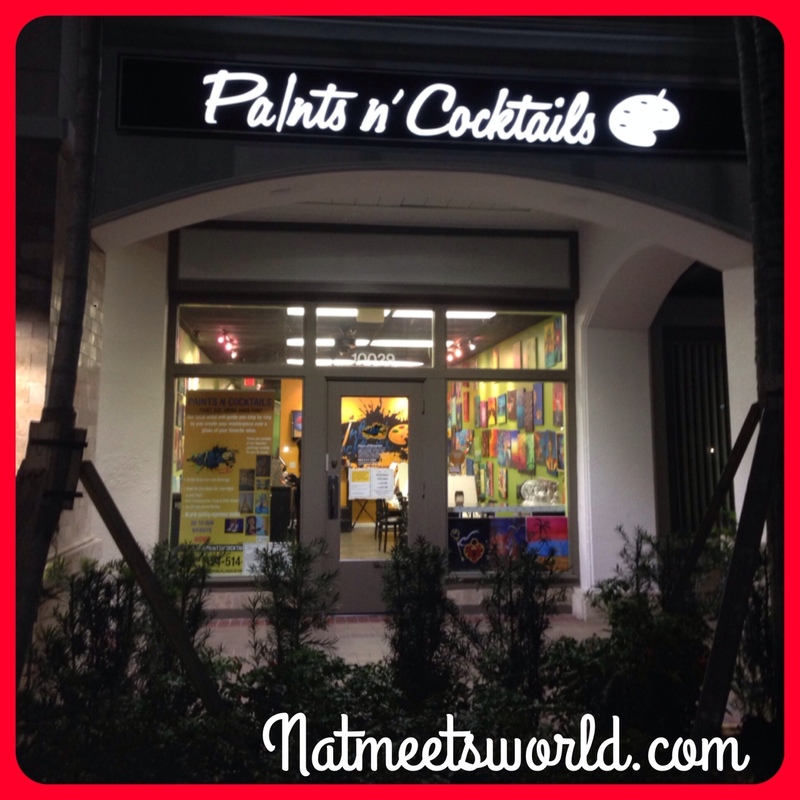 If you live in the South Florida area, or plan to visit soon, you have to check out Paints N’ Cocktails! 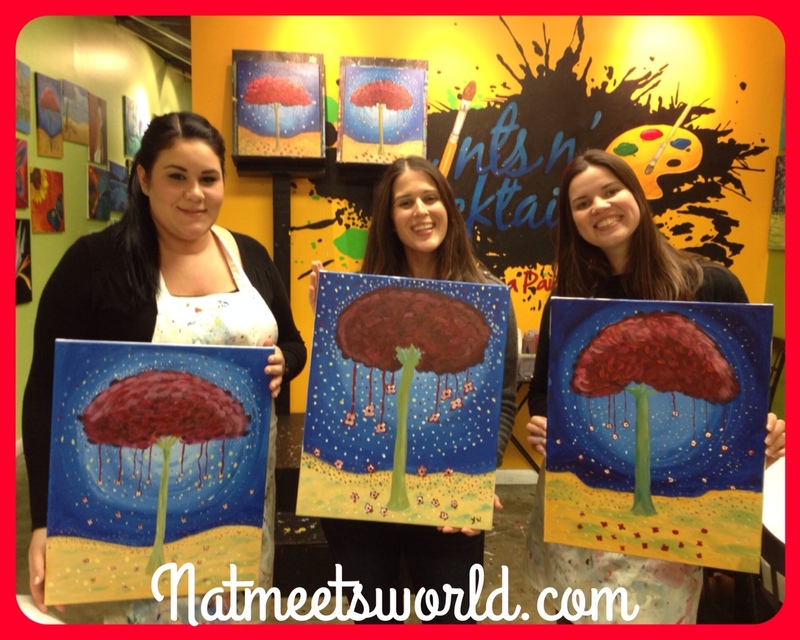 I recently discovered this little hangout with two of my besties, and had a blast! 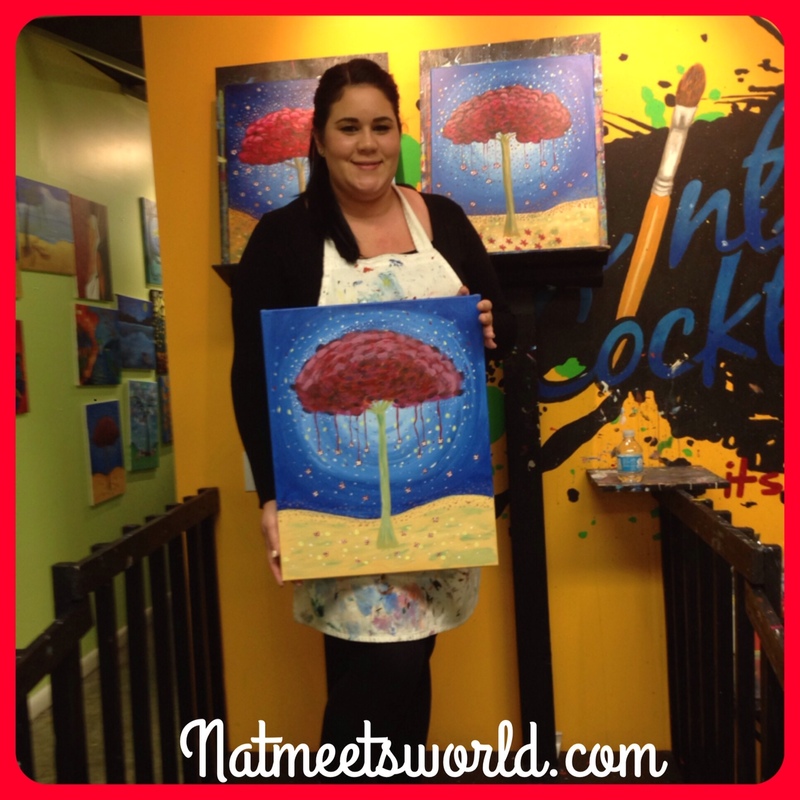 At Paints N’ Cocktails you can paint a specific painting assigned from the company to each class on your own personal canvas. An experienced artist will guide you throughout the painting session to recreate the assigned piece of art for that class (you don’t get to choose your own painting, but there are so many to choose from, it won’t matter!). While you do this, you can listen to music, sip on a glass of your favorite wine or alcoholic beverage, or even eat a snack. My personal choice? A grande Starbucks caramel flan latte with a birthday cake pop. =) ( All beverages and food are BYOB. It is not provided by the store.) We also asked the hostess to play classical music so that we can relax while we paint. (You can ask them to play any type of music you like). Interior of Paints N’ Cocktails where you can sit and paint. Studio area of Paints N’ Cocktails where you paint. The paintings on the wall are examples of the paintings they offer in their classes. Here is the stage where the artist stands while teaching the class. Once we were seated and given all of our materials, it was time to paint. 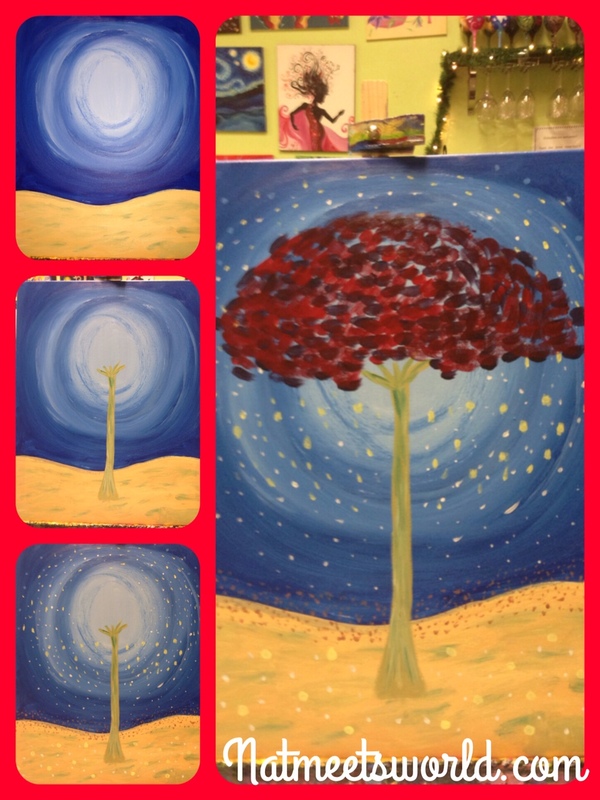 Check out my pics below of the progression of my painting! In the end, we had a great time! 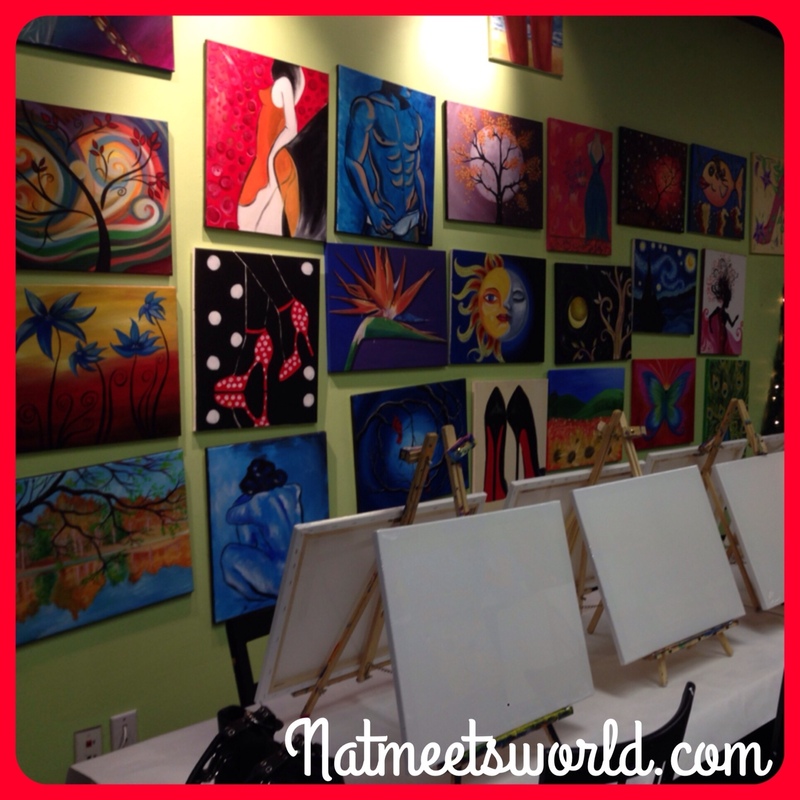 Check out our finished paintings! I look forward to coming here more often, especially after seeing so many beautiful paintings that are available. 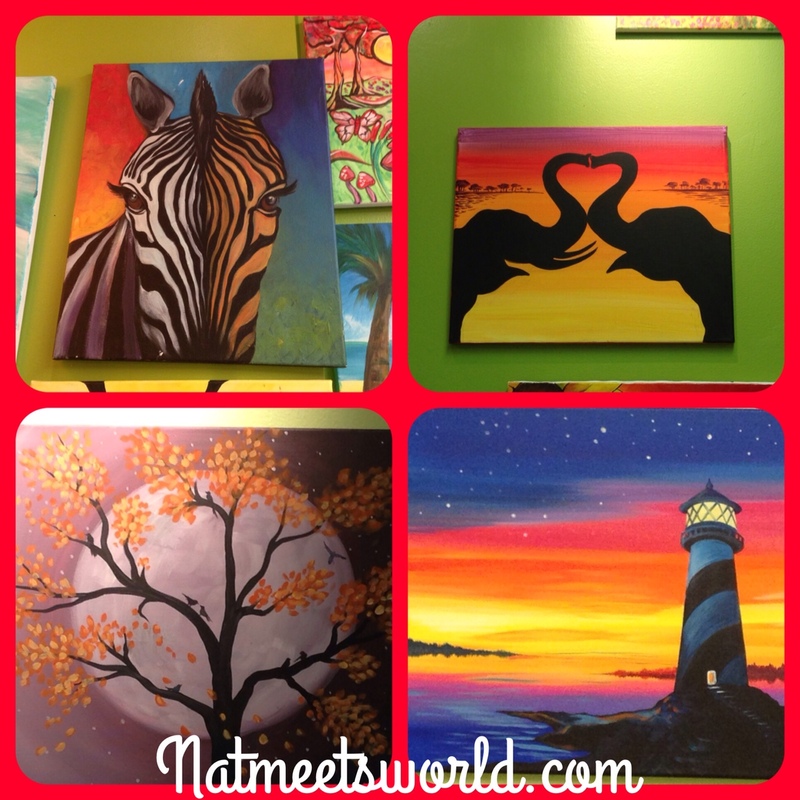 Check out my pic below to see some of the sample paintings I want to create next! 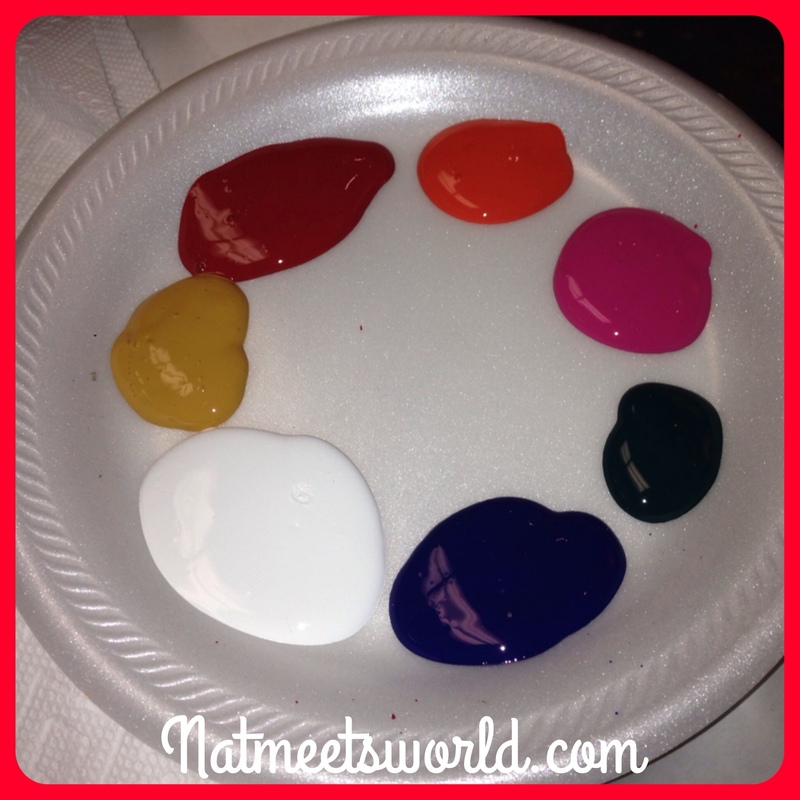 There are even events where you can paint your own wine glass! 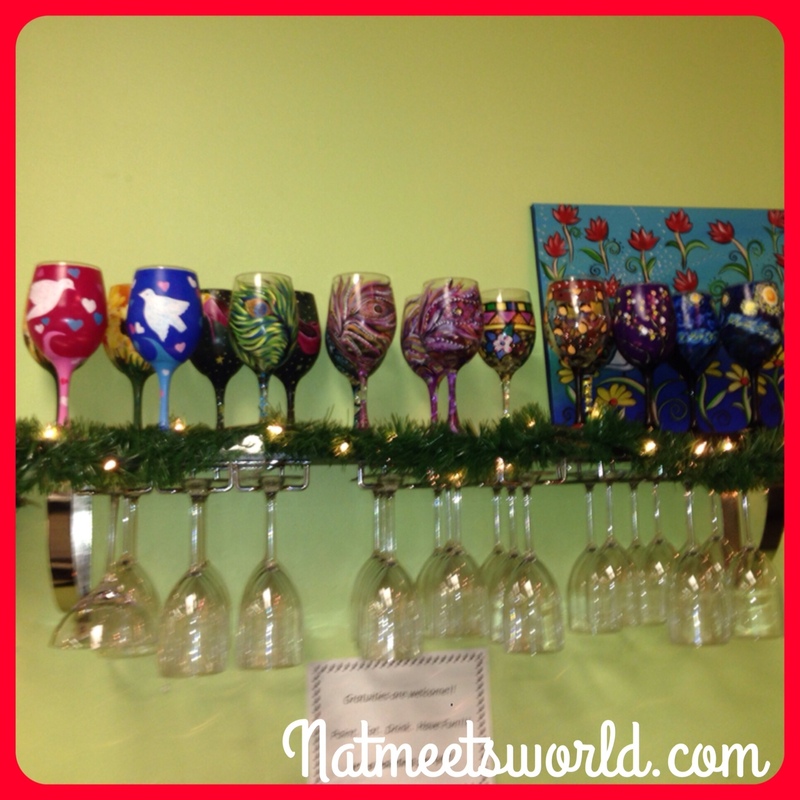 Samples of painted wine glasses. 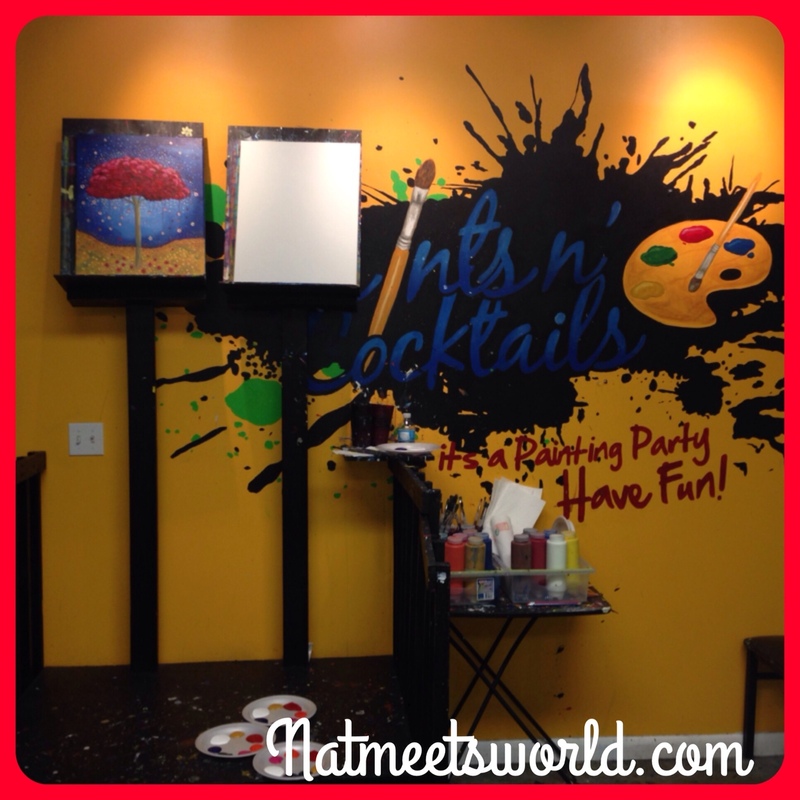 Paints N’ Cocktails is great for a night out with the girls, a couples hangout, or even a child’s birthday party. I also see this as a great opportunity for those who just want some time to themselves as well. You can also have private events. 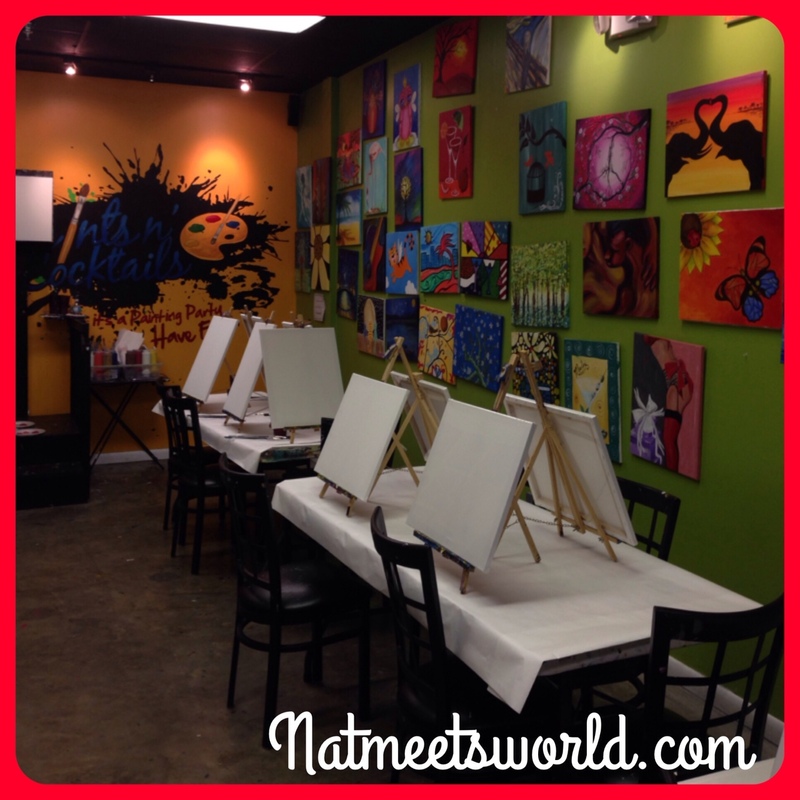 To get in on the fun, you can register for your class online at http://www.paintsncocktails.com or call 954-514-7383. Deal Alert: If you don’t have the SpotOn app on your phone, now is the time to get it. Make sure to swipe your QR code each time you visit Paints N’ Cocktails to receive points for future discounts on your next painting session. Disclosure: These photos and opinions are my own. « Sorcerer Radio App Is A Must For Disney Music Lovers!